According to Fox Sports, the team that could be the surprise in the SEC this year is the University of Georgia. 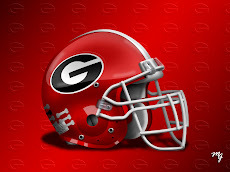 It is also noted that the Bulldogs could be the team that turns out to be Florida's biggest obstacle in a Gator National Championship run. After all the preseason hype surrounding the Bulldogs a year ago, they are pretty much flying under the radar this summer following the departures of Matthew Stafford and Knowshon Moreno. Their defense will be better, more fundamentally sound, and more aggressive or defensive coordinator Willie Martinez will be looking for a job. The linebacking crew will be strong again, led by Rennie Curran. The Dawgs offensive line will have more experience as well as depth. 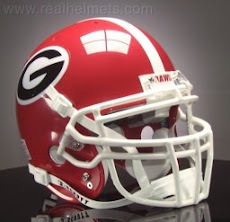 It should be one of Georgia's best units in several years. Joe Cox will be more than ample at quarterback, and the Bulldog Nation will love what they see out of backup Logan Gray. It just might be tailback by committee in Athens, but Richard Samuel and Carlton Thomas will not disappoint. A.J. Green will be spectacular as he leads a group of strong receivers. Georgia's schedule is indeed brutal, but if they can avoid the types of season ending injuries they suffered last year, they will be dutifully equipped to play it well. They do have a tremendous test in the season opener at #9 Oklahoma State, and we all know how tough the SEC East is every year. 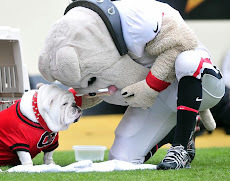 But these Dawgs are for from pups, and they could make the preseason speculation of an 8-4 season whimper in the wind. If you don't have to play 'em, don't schedule 'em!